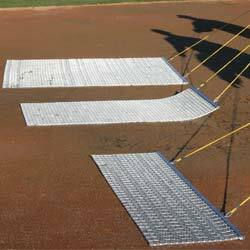 Since 2001, On Deck Sports has been helping coaches coach by manufacturing and supplying intelligently designed and affordable team, field, and facility equipment. Our selection will take you from practice to game day, from indoors to outdoors, and spans all levels of play from youth league to professional. 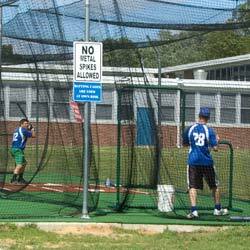 Whether you’re looking for a batting cage for your school, artificial turf for your indoor sports facility, or sports netting for your field or complex, our experts will help you find the right fit. We can even design your indoor facility from concept to installation. Order your team, league and facility equipment from us to discover the On Deck difference! To process your order we need a purchase order and a wire transfer authorization or credit card authorization. On Deck Sports accepts Visa, MasterCard, Discover and American Express. We also accept checks and PayPal (before any item is shipped). No COO's are accepted. Approved credit accounts will be billed Net 30 from date of the invoice. A 1.5% finance charge will be assessed to all accounts past 30 days from date of purchase. If your check is returned, it may be collected electronically and you will be assessed a processing fee as allowed by law. The check writer is also responsible for all other check recovery costs; including all attorney fees, court costs and taxes. Jurisdiction on all disputes shall be Brockton, MA. On Deck Sports' high standard for quality products is very important. If anything you purchase from us does not meet your expectations, please call us immediately at 800.365.6171. We will do everything we can to correct your problem. Our staff takes great pride in providing the best experience to you, the customer. Orders can be placed on our website or by calling 1-800-365-6171 (M-F 8:30am-5pm EST). Current prices apply at the time of shipment and are subject to change. All orders are shipped standard ground via Fed-ex or UPS when possible. In some cases, larger items will be required to ship via freight. Freight deliveries require a scheduled drop off time, and the customer is responsible for unloading the truck and assessing the condition of the product upon delivery. All damage claims must be filed to On Deck Sports within 10 days of delivery. All free shipping promotion apply only to the continental United States. State law requires us to collect sales tax from all California, Connecticut, Georgia, Illinois, Indiana, Iowa, Kentucky, Louisiana, Maine, Maryland, Massachusetts, Michigan, Minnesota, Nebraska, New Jersey, New York, North Carolina, Ohio, Pennsylvania, South Carolina, Utah, West Virginia and Wisconsin customers, unless they are otherwise exempt. Proof of tax exempt status will be required at the time of ordering. Customers in other states may incur sales tax when applicable. Damage occurring during shipping must be noted on the bill of landing at the time of delivery and reported to On Deck Sports within 10 days after delivery. We need this time so that proper damage claims can be made against the carrier. Failure to report any problems to On Deck Sports within 10 days will forfeit all damage claims. All shipment discrepancies must be reported to On Deck Sports within 30 days of the invoice date. On Deck Sports will not be responsible for any claims after 30 days. Products may be returned for a refund within 90 days of receiving your purchase. All returns require a return authorization number which can be acquired by calling our customer support team at 1-800-365-6171. Refunds are issued using the original form of payment. Items must be returned in their original condition, including packaging. Items are subject to a re-stocking fee of up to 20% depending on their condition at the time of the return. On Deck Sports is not responsible for misuse, or improper customer installation. Custom orders are not eligible for returns unless the item is defective or there was an error. Shipping charges are not refundable and customers are responsible for return shipping costs. Please include the return authorization number on all return packaging to ensure that return is processed in a timely fashion. All used turf products are sold "as is" and do not come with a warranty. Used products may have stains or other imperfections. 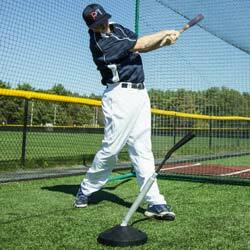 On Deck Sports provides many different pitching machine options and prides itself on their quality. If the machine has been used, however, it cannot be returned for a refund. Machines must be in their original packaging for any return possibility. On Deck Sports' nets are hand-made from the best materials. Netting products do incur normal wear and tear, and this is not considered a defect. 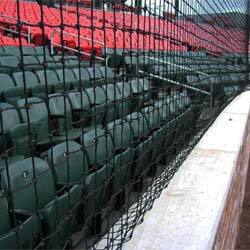 Once manufacturing has begun, any custom netting orders cannot be returned without a fee. Warranty does not cover normal wear and tear that results from the use of the products. Use of products in a manner other than that for which they were manufactured nullifies this warranty. As with any physical activity, participation in athletics at any level comes with inherent risks of accidental injury. Under no circumstances should equipment used for these activities be altered, tampered with or used when damaged. Such equipment should never be used without direct adult supervision and only after being inspected for damage, wear, proper function and proper maintenance. The equipment should never be employed for any activity other than which is specifically intended. Participants should always know, or be made aware of the risks involved in the activity they are participating in as well as their own physical limitations and that of the equipment being used.